It's nice to have my Joyful Blooms quilt home! This is the first time I've had a quilt gone so long - the pattern for it was published in the Spring Issue of A Needle Pulling Thread. What was even more fun is that I got to travel all the way to Mississauga to bring it home. I was fortunate enough to get to go to Quilt Canada 2016! You might have seen this photo on my Facebook page over the weekend. What a thrill to see it hanging among so many other beautiful quilts. I went to the show with my mother in law and we decided the quilt looked so good that we would leave it hanging one more day and come back! 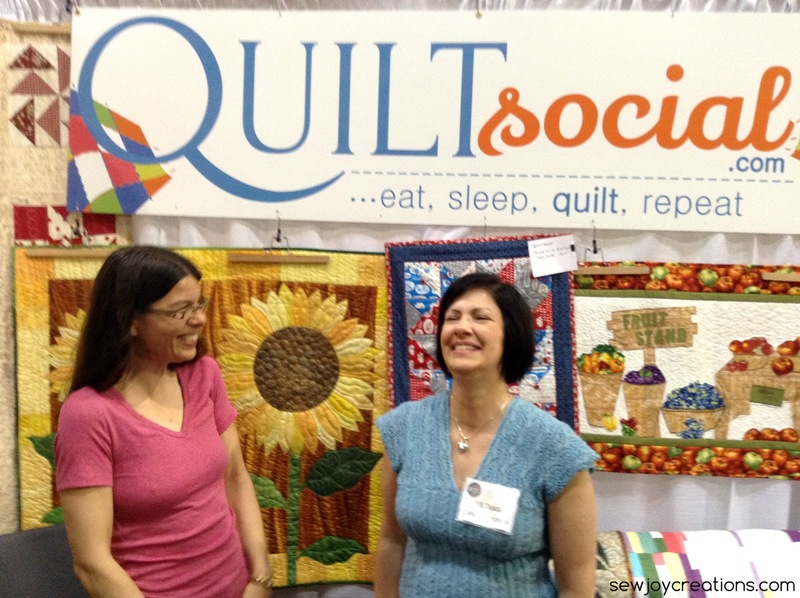 Of course, what's a visit to a quilt show without bringing home some souvenirs! I had to buy some bright Kaffe fabrics. Seeing all of the vendors with their quilted signs made me really want to make one for my space. The orange print was bought with making my own quilted sign in mind. And my first license plate of the Row by Row experience for this year - I saw more, but this one really spoke to me. Since I haven't done anything yet with the few I got last year, I'm not going to spend all of my fabric budget on them. This row was really cute too - 3D bed quilts! 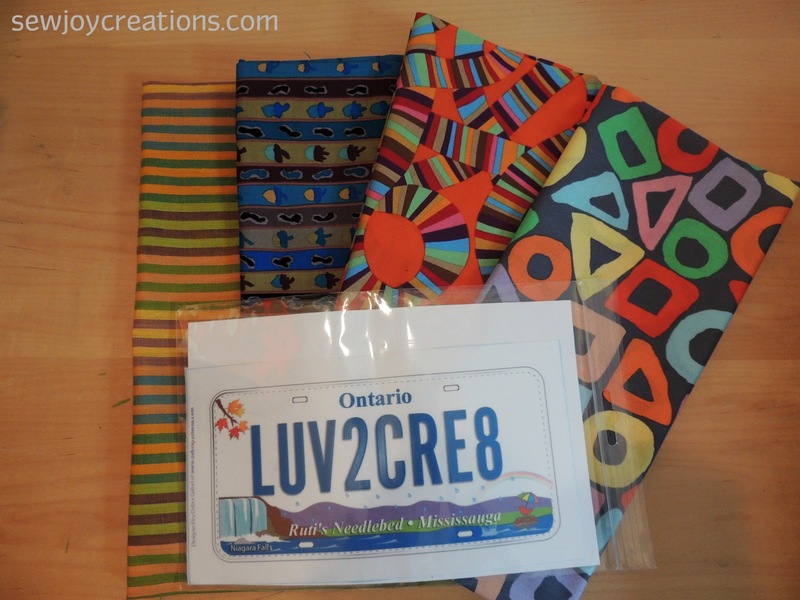 The store is Ruti's Needlebed in Mississauga. And the prints are from Northcott - they make great mini quilts, don't you think? What's your favorite part of attending a quilt show? Yeah....so happy for you Sarah! AND this is such a happy quilt....beautiful!